Long time reader, Tamara, sent me this fabulous look for less over the break. 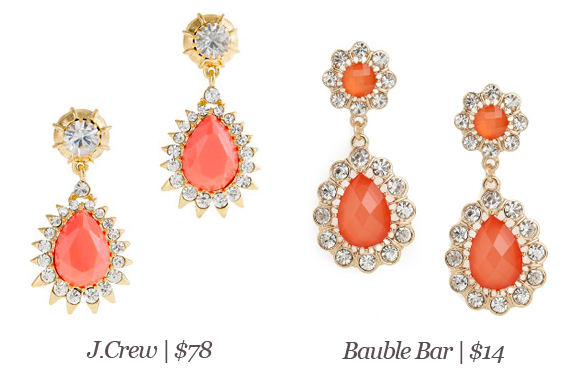 The listed price at the Bauble Bar is $24, but if when you sign up for your first order, they give you $10 off. I think these would be a pretty fabulous addition to a jewelry collection. Would you wear them? Wow. This is a serious steal. And at a price I can really truly get behind.